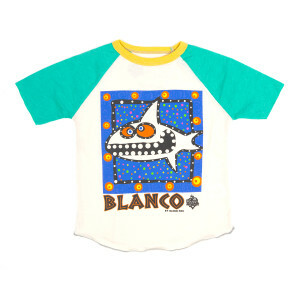 This yellow, aqua, and white baseball tee features a kid friendly shark named Blanco, created by Glenn Fox, and co-branded with Rowdy Sprout. 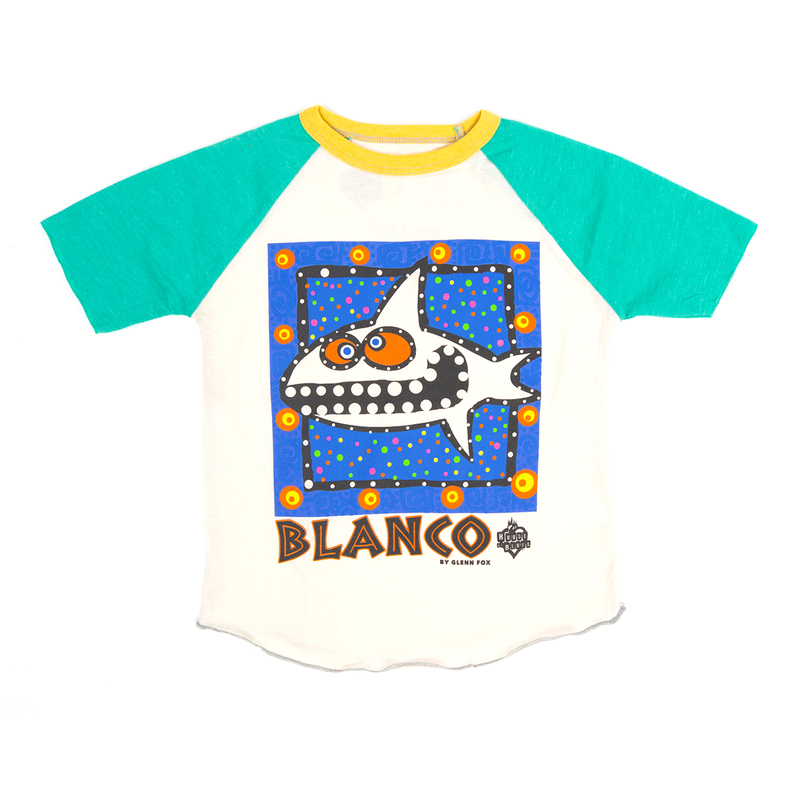 100% cotton, these tee’s are ethically made. All fabric is cut/sewn/printed in the USA. These bodies are created in a limited run, and will not be available for reorders.